There several dangers that face the world economyat the start of this New Year – further outbreaks of violence both within and outside the Middle East, destabilisation caused by the abrupt halving or more of the oil price, the slow-down of world growth (China), deflation and possible breakdown in the Eurozone, and another banking crisis. Six years after the financial breakdown in 2008-9 it is therefore disturbing to see the UK’s Financial Conduct Authority (FCA) seeking public acclaim for the large increase in financial penalties it has imposed on miscreant banks, as though this has changed the culture of hubris that has infected the major banks over the last decade or more. 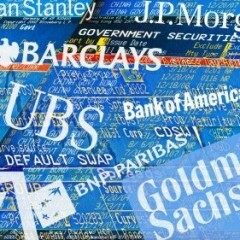 The FCA has certainly imposed fines of £1.4bn on the UK banks in this last year, but that is still dwarfed by the fines imposed by the US regulators on their errant banks, too modest by comparison with the enormity of their regular annual profits to change the City’s amoral mindset, and above all focused on the banking institutions themselves (the shareholders) rather than on the real perpetrators (the top executives and traders). I was informed that there have been a growing number of penalties, bans and warnings exercised against certain individuals, including a number of criminal convictions. That is important, but it still seems to be directed against more junior executives rather than those who should carry the ultimate responsibility at the top. It is only when the most senior executives are prosecuted, and if found guilty, given a custodial sentence that the unambiguous message is promulgated that no-one, no-one at all, is free of the risk of personal and professional ruin if high-level financial misfeasance is proved against them. This is not just my view, it was also the considered judgement of the cross-party Tyrie Independent Parliamentary Banking commission. It has not yet been acted upon”. I have not yet had a reply to my latest letter, but I intend to press this matter with both the regulator and the government since accountability at the top layers of the financial sector in Britain is currently a fiction which could well lead to the next and even more damaging financial collapse. Funny when the crisis was caused globally by the banks particularly with sub-prime lending in the US the Tories blamed Labour for the mess. Labour bailed out the banks using taxpayers money to save people’s wages, pensions, benefits and savings but as someone once said “No good deed ever goes unpunished.” And funny now the Tories seem to be claiming a credit for a recent pick up in the economy but I think this is more down to luck rather than by design – some good harvests re lower food prices and a reduction in the price of oil per barrell. I remember years ago having saved up for a while buying a suite for £1,200 and I felt guilty? Why do some on the left fear millions, billions and trillions? After all, all the wealth is created by the labour of the working billions – the surplus of which is legally nicked by the rich and powerful – so our demands are modest – we just want this wealth back to serve working humanity and all those unable to work. We should not be afraid to take some banks into democratic public ownership as well as the public utilities etc. but democratic public ownership should be about quality – I use airlines as an example – we could have less seats on board which offer more comfort to passengers and crèches in the sky – capitalism wants to cram them in and to squeeze every penny out of people and we should offer a quality service – it would mean lower financial returns but WE can live with that – result: human happiness. I would argue we can always offer more than capitalism by doing imaginative democratic socialist things! Yours in solidarity!